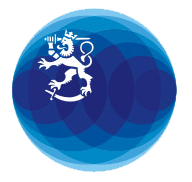 The Embassy of Finland in Budapest is looking for a part-time cleaner. The working hours are 20 hours per week. The contract of employment starts as soon as possible. This past year has been a year to commemorate Finland’s Civil War of 1918. The year began with a joint declaration of the parties in Parliament, in which we committed to the principles of democracy and the rule of law and condemned all use of violence in politics. Our shared wish was to commemorate the anniversary in the spirit of reconciliation.